Today, September 17, is Citizenship (AKA Constitution) Day here in the US, my home country (it still feels weird to say that!). Tomorrow, September 18, my former home country, Scotland, will be voting in a referendum on becoming independent or remaining with the United Kingdom. This post has been forming in my mind since before I first stepped onto US soil as a Permanent Resident. It is not just a post about Scottish independence. 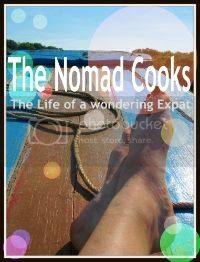 It is about expatriation and what that does to an expat's concept of self and country. I made a fleeting appearance in the movie Britain in a Day explaining that choosing between my husband and my country had been a (surprisingly!) tough decision to make. I knew when I moved that I was effectively disenfranchising myself for a bit. I can't vote in the US because I'm not a citizen, and I can't vote in the UK because I'm not a resident. And for now, I think that's absolutely the way it should be. I have been very privileged to have had the freedom to move from one democratic country to another just because I wanted to. And technically, moving to the US is not the first time I have moved country either. I moved from England to Scotland when I was a young kid. Moving from one part of the UK to another might not count when the passport is the same, but it wasn't easy. Throughout growing up I would meet people who didn't like me because of my English accent, who hated me simply because of where I was born. It was, and still is, and always will be, absolutely crushing, especially as I became more Scottish in my own identity. 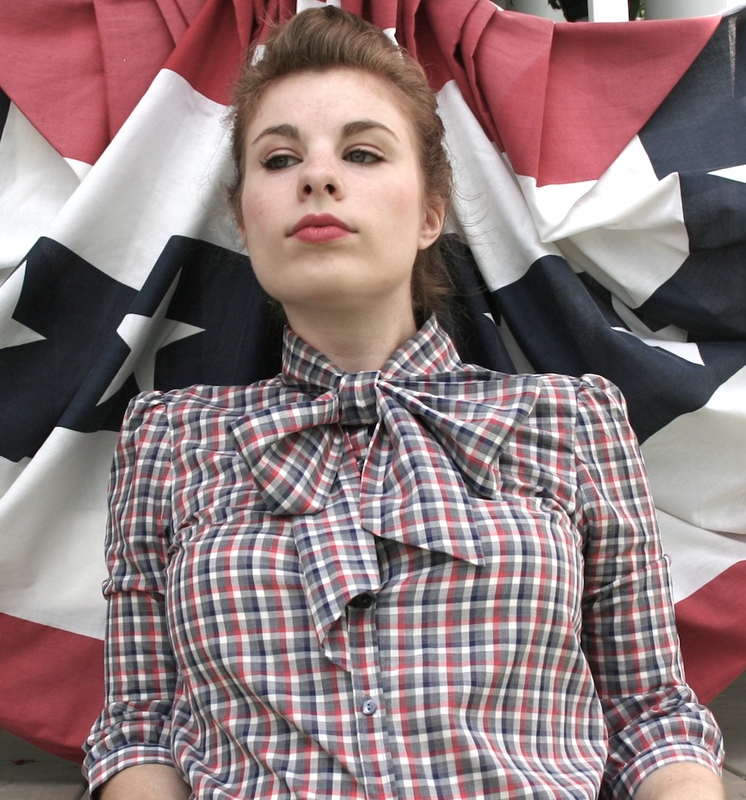 I'd be really interested in knowing how you think of yourself in terms of national identity. Do you feel you have a nationality and if so what identity/s do you identify as? Has this/can this change at all? . …My national identity often depends on where I am/where I am not. Now I live in the USA and people interchangeably call me British or Scottish, which I don't mind at all. But when I'm in Scotland people never call me Scottish and I feel very awkward about laying claim to having any Scottishness... which is funny seeing as my maiden name is a Scottish clan name and my family in England think I have a Scottish accent! I always knew that I would not be able to take part in Scotland's referendum, and accepted that as part of the process of expatriation. I had (and have) my personal feelings on the issue, but also recognized that it was not my decision to make anymore. In a way, because I chose to leave Scotland, and because I wasn't actually born there, I believed that my opinion on its future was unwarranted. I became a bystander. "Right ranty bods, here's your chance. I'm undecided. I have the facts and I have a vote." I was born in SE England, grew up in NE England, and spent most of my life living in Scotland. I know I am one of a minority (about 10%) who self-identified as British in the last census. My stepfather was a miner in NE of England in the 80s. I got free school meals because my mum was an unemployed art student. Neither was a fan of Maggie. We moved to Scotland when I was 8. When I started high school I was bullied a little for being English. I fell in love with Scotland regardless and actually love to identify as Scottish. But every now and then I'd get into a taxi in Glasgow and be told "you're not from round here..." And I wouldn't know what to say. Was I? Could I say I was? Now I live in America, and I can be what I want because, frankly, that's America for you. People call me Scottish, and I take pride in being Scottish, teaching Gaelic phrases to Americans, discussing Scottish art and culture and geography. I am also English, and proud of that too, even though I was often made to feel ashamed of it at school. The lead up to the referendum has been a very exciting and engaging demonstration of political debate and discourse. My friends are fairly representative of the debate happening in the UK, and are pretty evenly split on either side. Both sides are deeply passionate about their beliefs and their identities. People are debating economics and politics, and they are also discussing - and questioning - the very concept of identity. It has ignited in me a deep awareness of my identity. It is a fuzzy concept, but highly emotional and compelling nonetheless. Identity can be a unifying factor, and it can also be a dividing factor. I consider myself British, both English and Scottish. But it took the prospect of leaving my country to discover my identity, after growing up with unease over whether I am 'Scottish' enough and allowed to be 'English'. In a day or two we should know the result of the referendum. If independence comes to pass my British passport will no longer represent both elements of my identity (it seems likely that I will be eligible to apply for a Scottish one, and so could become multi-national citizen). By Citizenship Day next year I will also be eligible to apply for US citizenship. That will give me a US passport and the right to vote, possibly even in the 2016 elections. I won't take the decision to apply for a US passport lightly, because citizenship, and formally adopting a new dimension to one's self-identity, is something that should be a carefully considered decision. 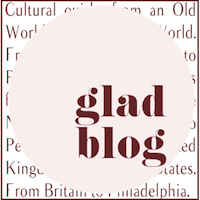 Applying for a Green Card was emotional because it entailed moving transatlantically, leaving friends and family, and being reunited with my husband. My conditional Green Card expired a few months ago. I was granted an extension while waiting for my full 10 year one, and those forms and the process felt like a formality compared to first time round. Applying for citizenship and a passport feels different though. I'll literally be saying the pledge of allegiance to the United States, a statement of who I am and who I will be. And in a way, that is a similar statement that each person in Scotland is making at the ballot box tomorrow. Some, I know, are making decisions purely on economics and governance. But I also know that personal feeling and identity plays a huge role. For some, who don't feel represented by Westminster, it is a notion of not identifying with what Britain's governance represents. 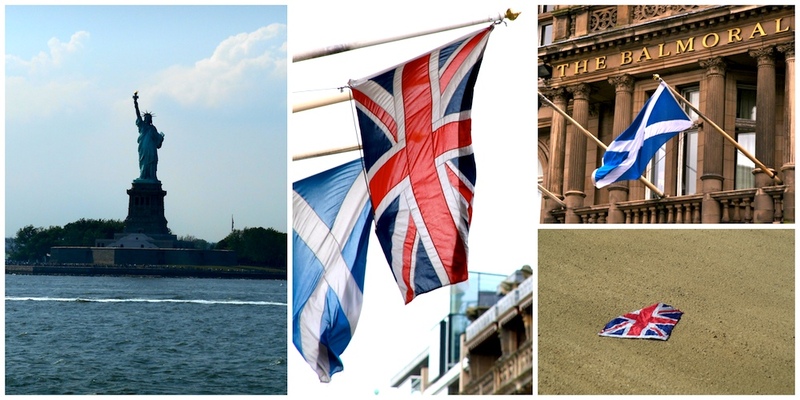 For others, there is a feeling that Scotland is strongest as part of a union of identities and governance systems, that can converge and diverge at times. Whether Scotland becomes independent, or remains in the Union (and it seems too close to call right now), citizens are determining the future of their country. 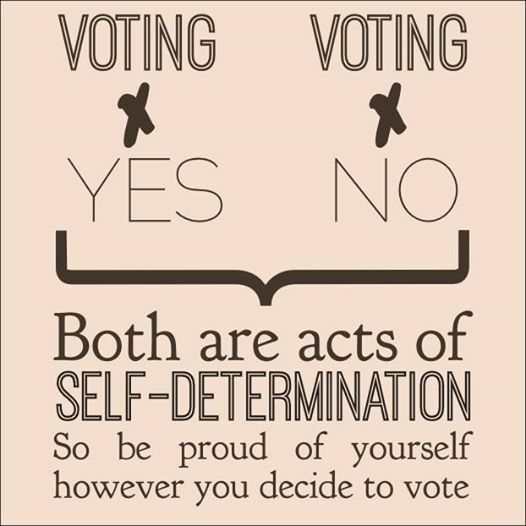 Self-determination is not how you vote, it's that you do. Whatever the result, the hard work begins on Friday to regather. And whatever the result, I'll still pure love ye, Scotland, mon.